So it’s 10 years since I first moved to London and in all that time I’ve gotten to know the city pretty darn well, even a place that’s ever changing as it is. But for all the new-ness and exciting new launches, there’s a whole heap of gems that are maybe not as shiny and new but well worth exploring. When it comes to beauty, it’s all too easy to stop at the big department stores and think you’ve seen it all before. But if you step just a street back from hectic Oxford Street you can find an absolute beauty treasure trove in the form of John Bell & Croyden. 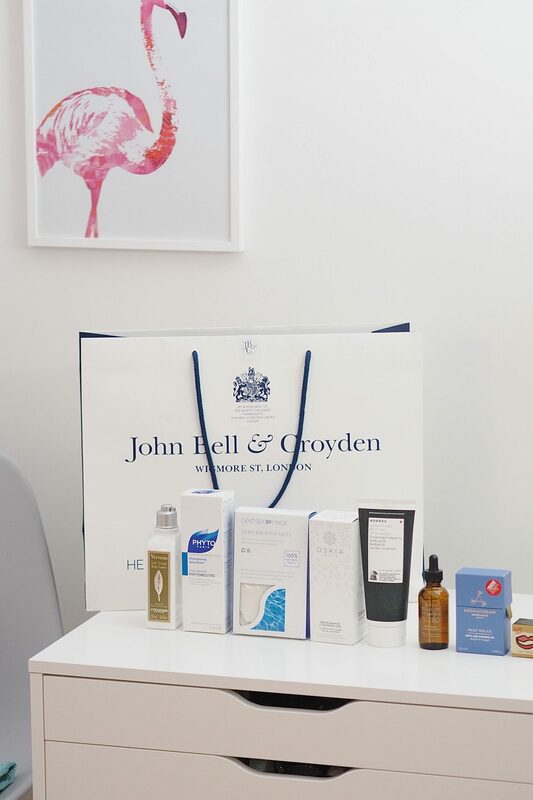 John Bell & Croyden is a traditional pharmacy in almost every way. But it has a few things that make it very special. For one, it’s HUGE and the selection of brands in store is actually pretty mind boggling. When I went to explore I spent well over an hour scouring the shelves and admiring the brands on offer. The space – especially for a Central London store – is seriously impressive. In size and in style. Having undergone a recent re-fit, it’s taken it from somewhat-dated to a perfect balance of style and function. Inside you can find the store split into sections. One area (the bit on the corner of the store on Wigmore Street and Wellbeck is where you can find all the skincare you can imagine. The list of brands is seriously impressive. From SkinCeuticals (a current favourite of mine) to Korres, there’s everything from the Harley Street Doctor brands down to organic. If skincare is your thing then you need to head to this store, I promise you won’t be disappointed. If the fact they were the first place in the UK to stock Bioderma in store gives you anything to go by, you know they’re on the pulse of what’s good in skincare. But not only do they stock a wealth of products. They also have really knowledgable staff on hand to talk you through things and help you find what you’re after. There are facials and consultations available from the brands in store and even at the back of the space there’s a series of private consultation rooms where you can talk more in-depth about skin, hair or scalp problems you might not want to discuss in an open store space. 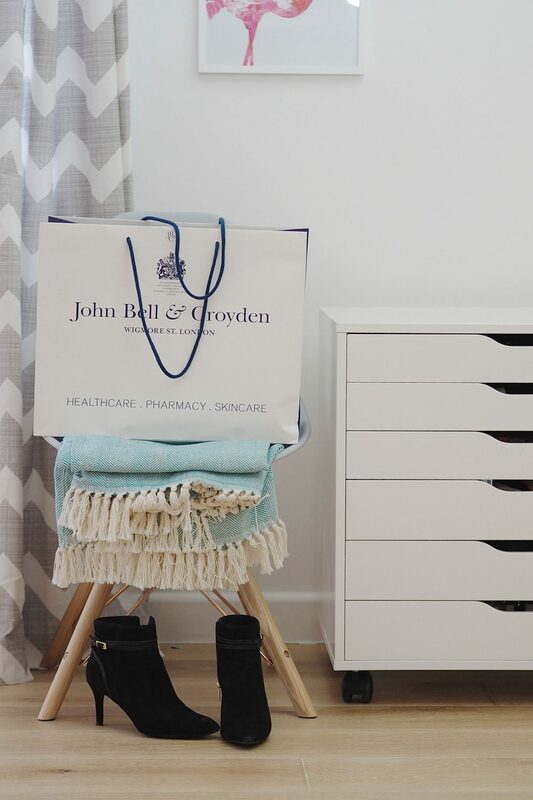 These consultation rooms are rented out by various experts (thing Dermatologist, Osteopath, Chiropodists etc) so you can pop in and pick up your essentials and get any issues seen to all in store. I’m really keen to pop back and see a scalp expert in the New Year, I’ve banged on about my annoyingly sensitive scalp for way too long I want to make 2017 the year I get to the root (pun intended) of what causes it and get a real handle on it. Also, if you’re into your vitamins and supplements – you NEED to head to John Bell & Croyden. I didn’t realise there ever where as many as there are in the world. Let alone in one store. Seriously, an area the size of a regular local pharmacy is 100% dedicated to vitamins and supplements. I was tempted to pick myself up some Kalms to tackle any pre-Christmas stress but opted to head back to the pampering side and go down the route of bath salts and Aromatherapy Associates! Aromatherapy Associates Relax Deep Bath & Body Oil – I’m OBSESSED with this oil. I’ve never had a full size one, always the smaller ones from the Christmas sets. But decided I need a full size in my life to chill in the pre-Christmas madness! Ruby Red Lip Therapy – This was on the recommendation from one of the lovely members of staff. A lesser known brand but she said the whole team had been obsessed and called it the best lip balm ever. SOLD. Oskia Renaissance Cleanser – Because it really is the best so decided to stock up. Dead Sea Spa Magik Dead Sea Bath Salts – Because I love a bath salt bath for properly relaxing. Plus these are cheap as chips! In fact, maybe even cheaper than chips. Phyto Paris Detox Shampoo – This is one I always used to stock up on in Paris so wanted to grab it as soon as I saw it. SO good for a proper deep scalp/hair cleanse. John Masters Organics Scalp Serum – On the scalp front, I am eternally obsessed with trying new products so this one is the latest attempt! Korres Body Milk Mint Tea – I originally picked up a couple of Korres products but decided to narrow it down but couldn’t put this one back because it smells SO good. I love anything minty and this is just perfect. L’Occitane Veveine Body Lotion – This is a favourite of my mum’s so had to pick this up as she mentioned a month or so ago she mentioned her supplies running low so decided to add this in as makes a lovely little gift. Oh and the best bit, as much as I would urge you to visit the store – if you can’t make it there, you can always order your essentials and have them delivered via Amazon Prime Now! Talk about convenience. If you have Amazon Prime the service is free too. Bonus. Otherwise, I really would recommend take that little walk back a block from Oxford Street. The space is beautiful and full of more brands and advice than you can shake a stick at. A really lovely shopping experience – which is worth escaping Oxford Street for, 100%!